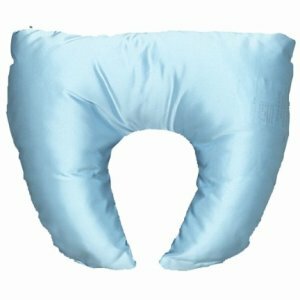 Crescent Pillow Mate with Blue Satin Cover is a 100% hypoallergenic polyester fiberfill pillow and provides head and neck support while helping to relieve muscle tension associated with cervical pain. 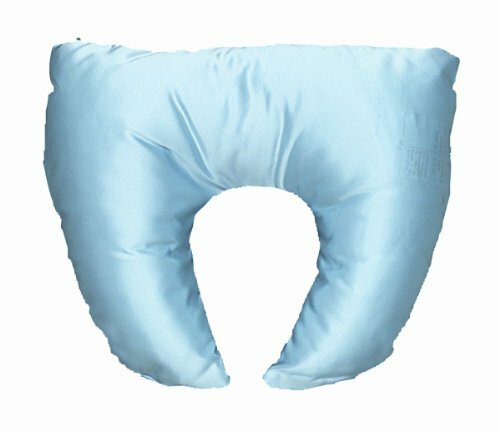 Helps align the cervical spine and is ideal for travel or home use. Pillow case is removable and washable.